Back in the days when I was still single, I already aim to collect rewards, rebates or any kind of cash back as much as I can. I always sought through everything and anything I use so that I am not just stashing away funds on using it and actually still earn from it. But they say that when you started to become a mom, you will become a Rewards Hoarder. But, honestly, as I've said, I've been doing that even when I am not yet a mom. Let me share you one card I truly enjoy and patiently waiting for my reward to come. Citimart Supermarket has been my go to grocery store 2 to 3 times a week. Since it is much more convenient for me to do my grocery here, it also promise me rewards in return. How? 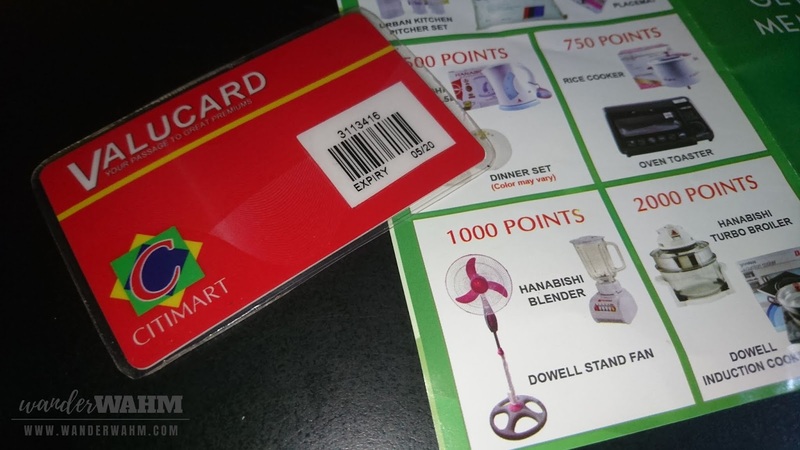 By purchasing their Valucard wherein for every Php200 I purchased, I earn 1 point. If you see it that way, it may be "Ay ano ba yan, kelan pa ako nakaipon niyan?" but in case you didn't notice, as you do your regular grocery, you will be surprise that you will earn as much as you can in a span of 1 year. Citimart Valucard cost Php25 before but now it's price increase to Php50. It doesn't matter to me that much since most of my grocery is done here plus I can use the card to their other branch and their Department Store. Also, my grocery items sometimes earned 3 or 4 points whenever I have a promotional item purchased. Within my first year, I earned 600 points that I redeemed a bed sheet out of excitement. Later on I realize that I could have save those points and redeem after I earned 1000 points. Why? 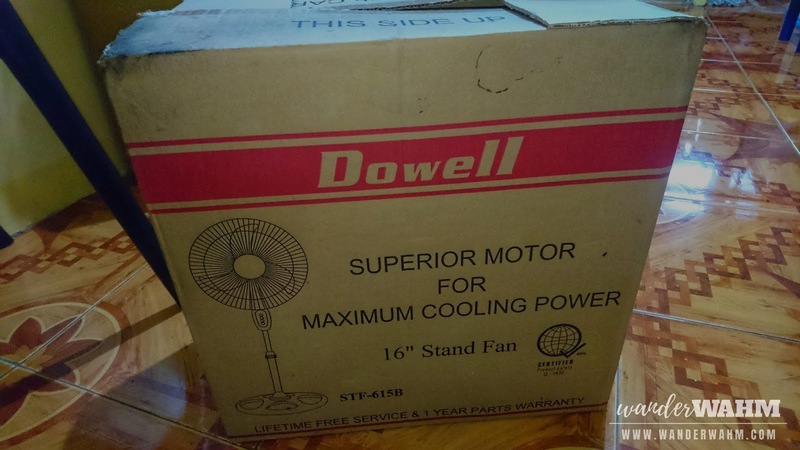 Because I wanted to redeem an electricfan for that. We only have 1 fan in our house and I couldn't buy another one since we already use the aircon in the room. That's only one reason why I don't want to just buy another one and just wait for my points to grow. It took me a year and half to actually have the 1000 points on my card. And last week, I was giddy excited to take home my dream standfan from Citimart Supermarket. Are you also a fan of Rewards Card?